In the not-so-distant past, dentistry was focused on addressing the results of years of poor dental hygiene. Cosmetic dentistry was almost unheard of, and certainly out of reach for the average person. Improved dental care and patient education, advances in technology, and on-going training, have made cosmetic services affordable and practical for people of all ages and incomes. At Riverview Dental, we provide cosmetic dentistry procedures that not only brighten your smile and boost your self confidence, but can help ensure good jaw-bone health and align teeth. Call 605-339-2040 to schedule an appointment or ask questions on our services. Cosmetic dental procedures, such as bonding or veneers, are often used to fill gaps between teeth or to cover teeth that are discolored, misshapen, chipped, or slightly crooked. Veneers are very slim, custom-made, tooth-colored shells of porcelain or composite resin that are attached to the entire front surface of your existing tooth. Veneers give the appearance of natural teeth. Bonding, on the other hand, is tooth-colored material-referred to as composite resin-that is applied to a smaller portion of the tooth, shaped, and finally cured with light. Bonding also results in a natural-looking smile. Dr. Slack will take impressions, x-rays, and photos of your teeth, then send them to ClearCorrect with instructions for the tooth movements you need to achieve your ideal smile. We will create a 3D model of your mouth and then a series of clear plastic aligners custom-fitted to your teeth. Each aligner will apply targeted pressure to the teeth selected by Dr. Slack, slowly moving them into alignment. Every six weeks or so, Dr. Slack will check on your progress and give you your next two sets of aligners. 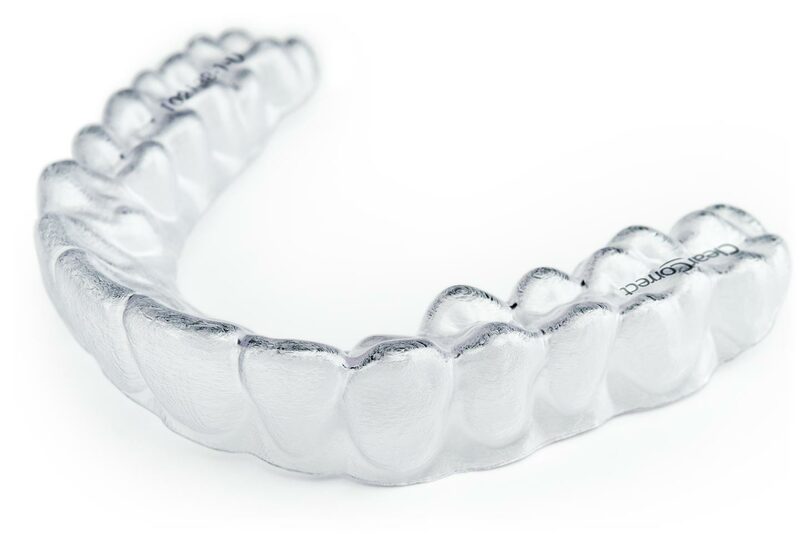 Unlike other clear aligner partners, we use ClearCorrect, that manufactures your aligners in phases, so Dr. Slack can request changes at any time. Treatment usually takes 6-18 months, but you will start to see results right away. Call 605-339-2040 today and make Riverview your trusted family dentist!